The English writer Lawrence Durrell wrote long ago, ‘You should see the landscape of Greece. It would break your heart.’ It is as true now as when he wrote it. 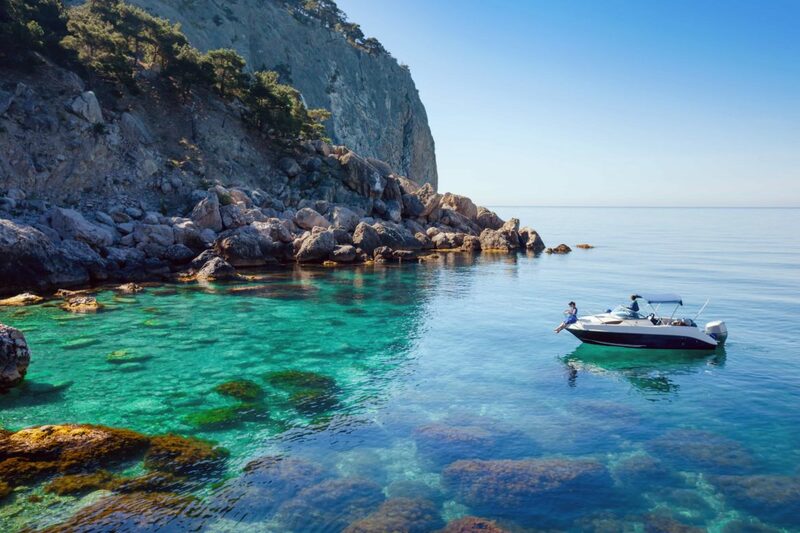 It is also true that the only way to properly travel the extraordinary archipelagos of Greece is by chartering a private yacht. 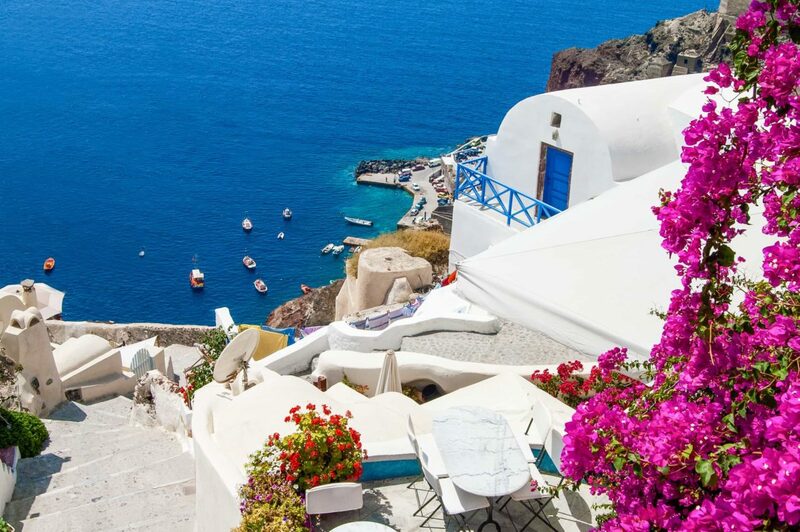 Greece is a land of timeless myth and beauty, of whitewashed villages and quiet olive groves, of ancient temples crumbling into the dust above clear emerald seas. Of shipwrecks rusting on powdery white beaches crowded by immense limestone cliffs, and glamorous ports where the superyachts cluster, shining white against the night. 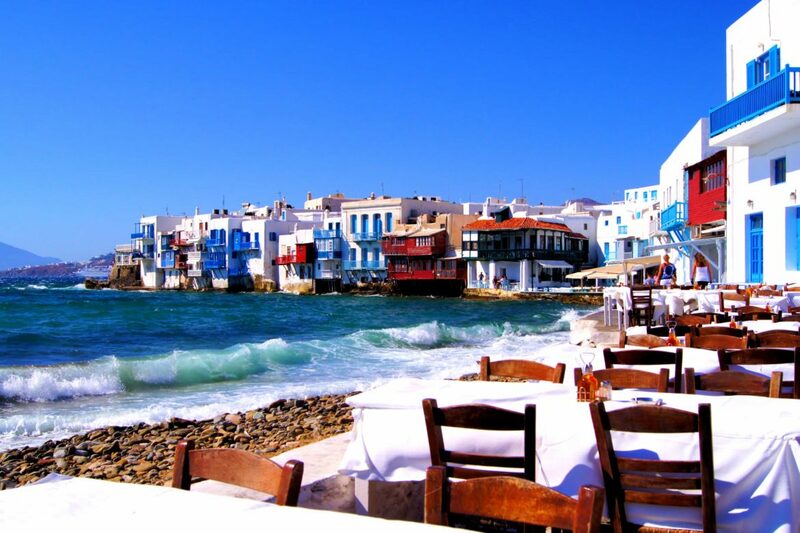 Of rustic tavernas in fishing villages, blue and white boats bobbing in the port and the day’s catch of octopus hanging to dry in the morning sun above the cobblestones. The past has a hold on Greece that you feel as you cruise through a landscape touched by legend, where vengeful gods were thought to play their merry havoc on the lives of the humans far below. You feel it in the bays where the ships of Sparta and Troy once gathered, and as you walk across ancient battlefields, the deeds of heroes echoing down through the ages. Greece towers in our imaginations with its epics and its odysseys, and as the birthplace of democracy and the grand hubris that would bring the Hellenic empire to its knees. 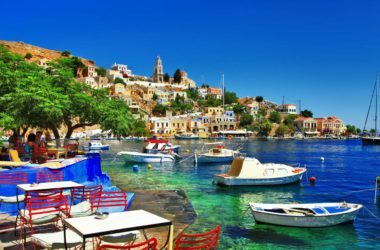 Made up of more than 2000 islands, each with its own history and character, the archipelagos of Greece- the famed Cyclades, the Ionian, the Dodecanese, the Aegean Islands and Sporades- provide a lifetime of cruising opportunities. The difficulty arises, of course, when you try to decide where to go first on your luxury yacht charter. Happily you can’t really go wrong- but here are some pointers on some of the greatest highlights of each. I’m not sure if life is complete without a visit to Santorini. Anchor your yacht beneath the awe-inspiring cliffs of this volcanic caldera, and take the cable car up to the whitewashed village perched high above. Take a donkey trail to a deserted beach cove, or spend the afternoon in a plush spa hotel with a dizzying view of the Aegean Sea, infinity pool running off the edge to nowhere. 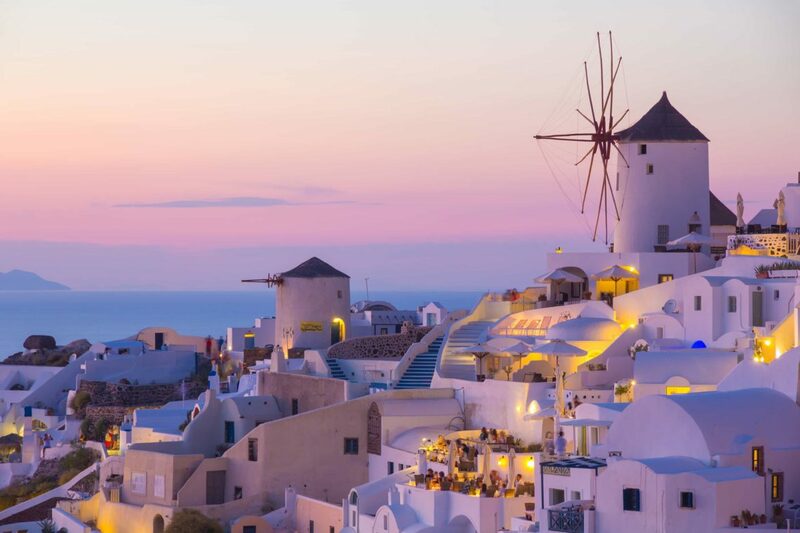 The Cyclades also offer the jet set mecca of windmills, sandy beaches, boutiques and nightclubs that is Mykonos, and the sacred island of Delios, where no-one has ever been allowed to be born, or to die. The Ionian islands are greener than the Cyclades and the beaches and coves are some of the most splendid in Greece. 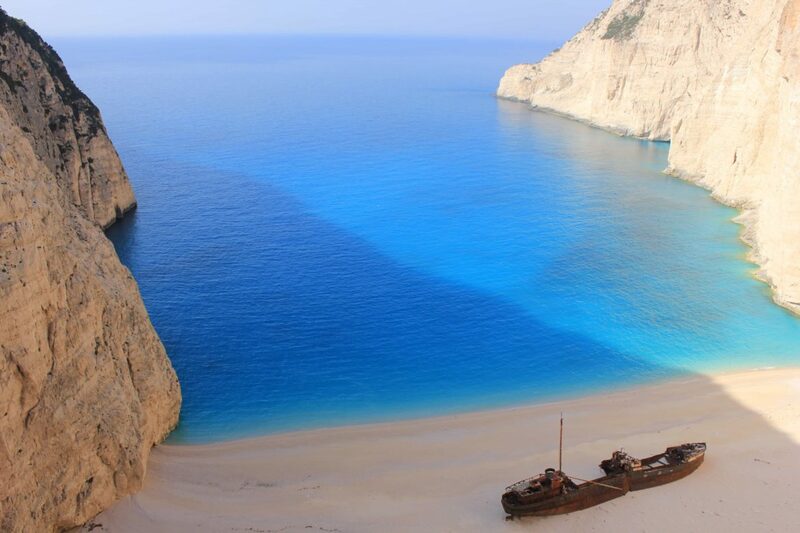 Here you will find the famed Shipwreck Beach on Kryathis, as well as one of the world’s best windsurfing spots on Lefkada. This coastline has spectacular limestone cliffs riddled with caves and grottos just perfect for exploration by kayak, or you can watch an opera performance in a cave on Kefalonia, the sound dancing through the forest of stalactites and stalagmites growing from the cave walls. Explore the Venetian and Byzantine palaces of Corfu or search for the birthplace of Homer’s hero Odysseus among the vineyards and olive groves of Ithaca. 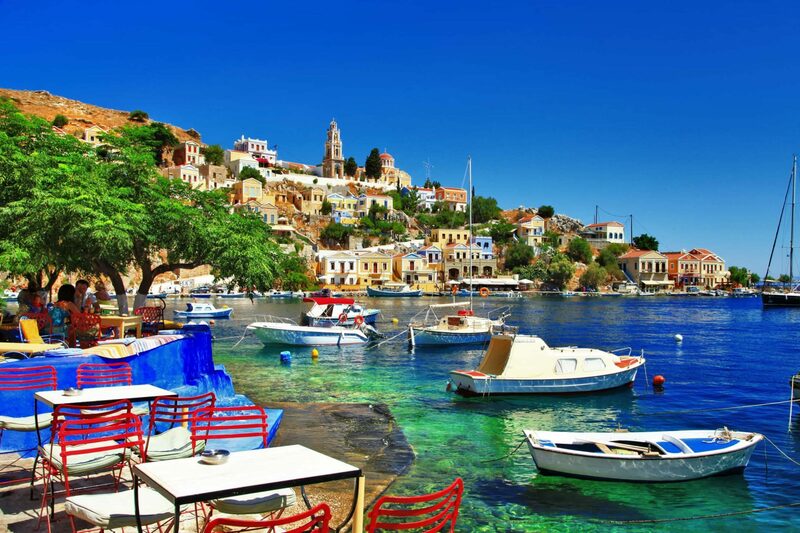 The Dodecanese are a breathtaking place for a yacht charter- quiet and wild and free. The islands are quite varied in appearance, with rugged forested mountains on some and others with a more rocky arid landscape. The archaeological delights of Rhodes, one of the Seven Wonders of the World, cannot be missed, or you exert some energy and climb to the volcanic crater on the spectacular island of Nisyros. 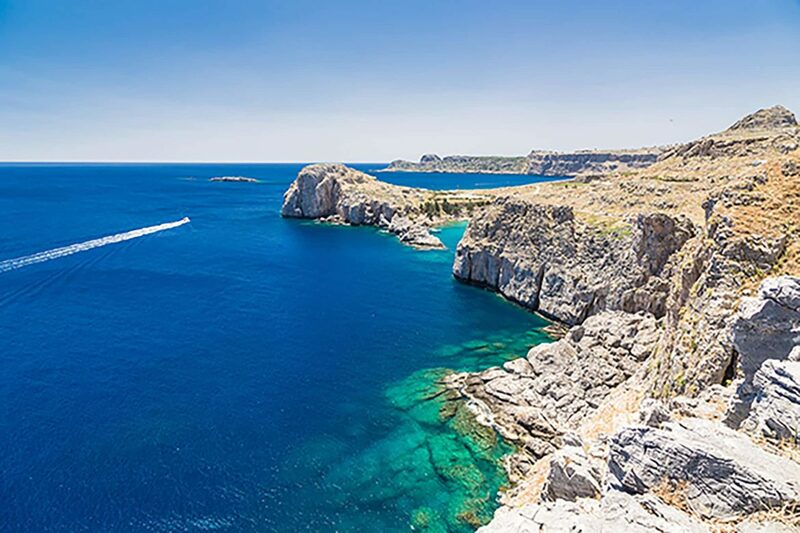 The Dodecanese are tranquil and beautiful, with deserted beaches and crystal clear waters for long summer days spent swimming and picnicking. These stunning islands are less visited than the Ionian or Cyclades, meaning they are perfect for those who are craving true relaxation far from the crowds. With lush mountains, deep pine forests and a history that seeps out of the very rocks, this is a magnificent yacht charter destination off the beaten track. The wild island of Somothraki is deservedly popular with hikers, Samos is famous for its forested mountains, and nearby Lesvos is an ancient birthplace of art and philosophy. These outrageously pretty islands are busier than their other Aegean neighbours, with the fantastic beaches and deep forests bringing crowded anchorages in the summer months. Skiathos is considered the Mykynos of the Sporades, with a vibrant nightlife and an air of excitement, and Skopelos is increasingly busy as well. Alonnisos, meanwhile, is a tranquil green island to escape to- it’s set in a marine park with startlingly clear and fresh waters. 2000 islands and just one lifetime. This year, why not set your own course to discover the heartbreaking beauty of Greece? 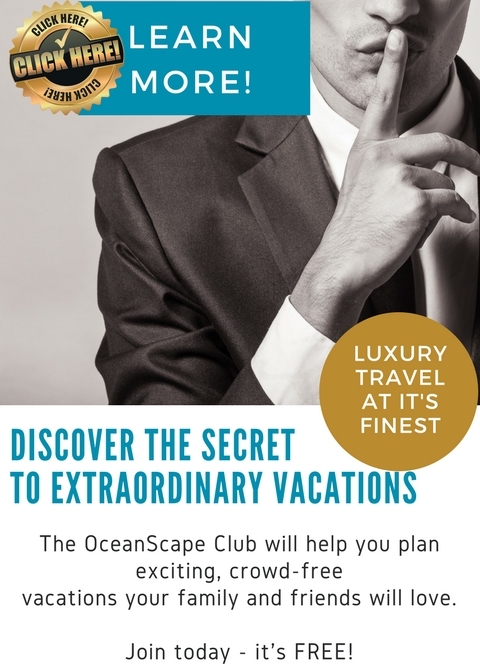 Contact OceanScape Yachts to find out more about how you can have an affordable holiday in absolute luxury on a private yacht charter in Greece. For a suggested itinerary, please click here.